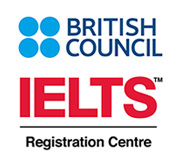 GMU is now an official IELTS Registration center in partnership with British Council. IELTS is the world’s most popular English language proficiency test with two million tests taken in the last year. Taking IELTS opens doors – it can help you live, study and work in 135 countries around the world. More than 10,000 organizations worldwide accept IELTS, including government, academic and employment institutions- including over 3,000 institutions in the USA. In fact, IELTS is the only English language test accepted for immigration purposes by all countries that require one. IELTS is designed to assess the language ability of candidates who want to work or study in countries where English is the language of communication. Tel: +971 6 7431333, Fax: +971 6 7431222. •self-assessment tools so that you can measure your progress. You can also visit [Link] to access to more British Council IELTS preparation materials.